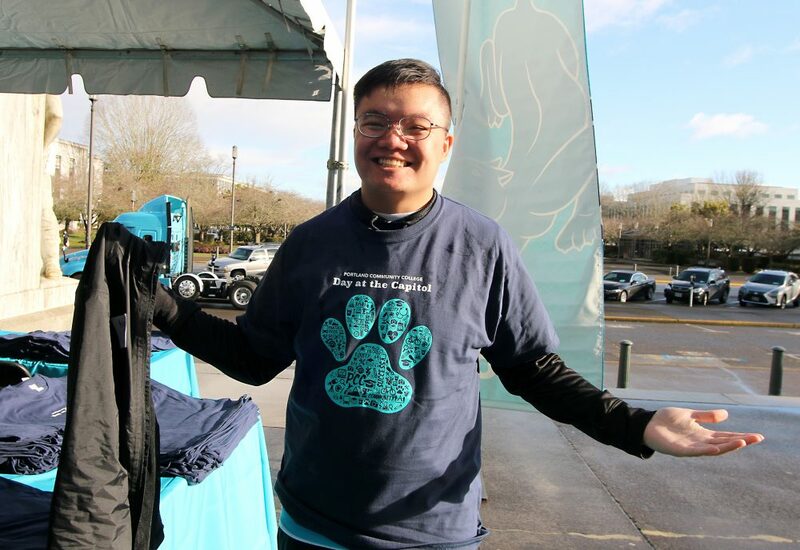 Panthers were on the loose in the state Capitol Building this winter. It wasn’t because of a wild animal escape from the local zoo, but was 117 advocates of Portland Community College. 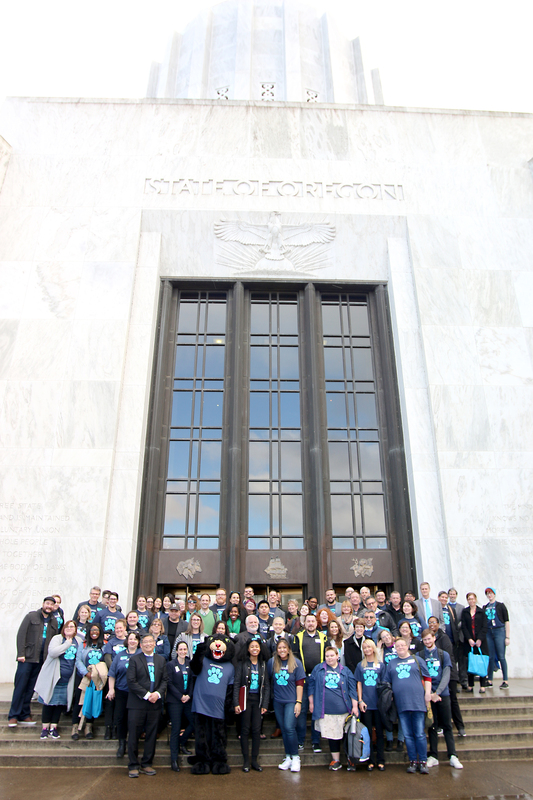 PCC’s “Day at the Capitol” in Salem on March 12 gave students, staff and community members a chance to tell their “PCC story” to legislators and thank them for investing in higher education. As the largest institution of higher education in the state, PCC creates opportunities for nearly 71,000 students each year with many of them being the first in their families to attend college. 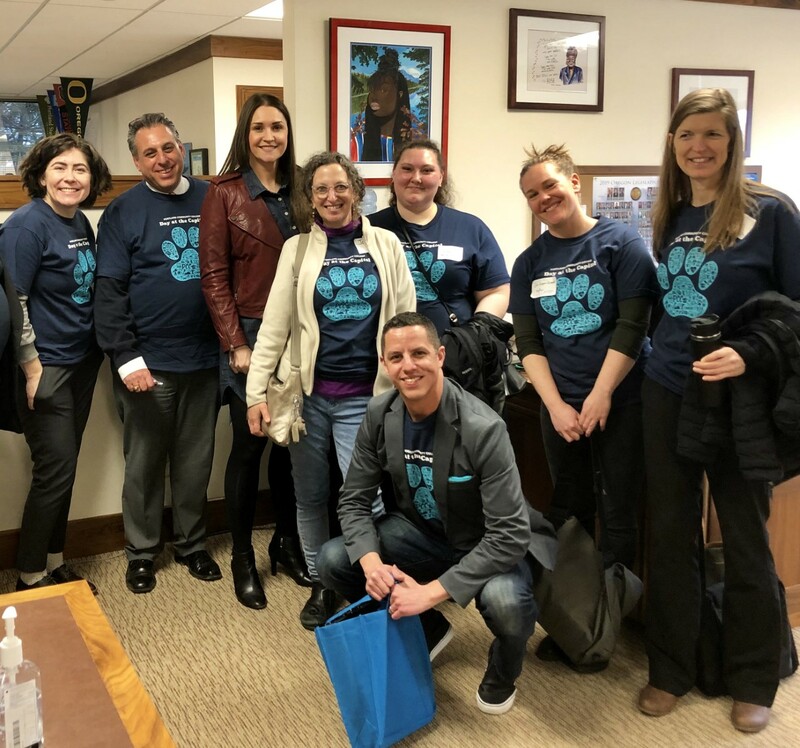 The day featured 11 teams of advocates, who met with 44 state representatives and senators where they got to tell the legislators about the major impact community colleges have on their communities. A week or so later, PCC leaders testified at the Joint Ways and Means Committee roadshow hearing at the Cascade Campus to build on the lobbying momentum. This lobbying event is designed to build awareness with legislators of the special role community colleges play in serving the state’s educational needs. PCC and Oregon’s community colleges are asking for a 2019-21 biennium budget of $787 million to keep tuition flat, provide more robust student support services, and scale up needed career-technical education (CTE) programs to meet industry needs. “This day is important because its about the future of our education system,” Kallaway warned. Kallaway herself symbolizes what the day means. Like the ideals of opening doors of opportunity so that anyone wanting to, for example, break the cycle of poverty, get retrained into a better paying job, or have an affordable alternative to higher-priced four-year institutions, can do so at a community college. Kallaway needed remedial education at a community college while her mom cleaned houses and her dad complained about his dead-end job. State Sen. Shemia Fagan (third from left) meets with PCC panthers. A big part of the day was telling the student story. With any funding decision by the legislature, the results will impact students the most whether it’s a raise in tuition or a cutting of programs and services because community colleges don’t have the resources to keep them going. Anita Phomma, a student leader at the Southeast Campus, met with legislators to tell her PCC story, which best represents the types of students that would be most impacted by funding decisions. A Future Connect Scholarship Program student, Phomma dreams of becoming a health instructor. Raised by a single mom with two brothers, she was also the first in her family to earn her high school diploma and enter college at PCC, which she found to be affordable.